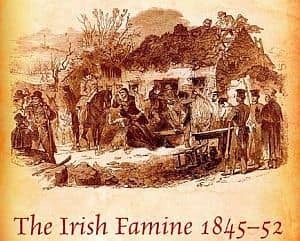 While the contribution of the Society of Friends is generally acknowledged in the historiography of the Great Famine (An Gorta Mór), the role of the British Relief Association has received relatively little scholarly attention. The latter organization, however, raised over double the amount of money donated to the Quakers, and it continued to provide relief in Ireland when other charitable bodies had left. Moreover, the agent employed by the British Relief Association, Count Paul de Strzelecki, proved to be an effective and popular champion of the starving Irish. The success of the Association was also due to the involvement and dedication of a man who had no direct connection with Ireland, but was Polish by birth. Count Strzelecki was an explorer and scientist who, since 1845, had been living in London. On 20 January 1847, according to the minutes of the Association, a Polish gentleman of extensive travel had offered his personal services gratuitously to Ireland with a view of being useful to the committee. The next day, Strzelecki’s offer was accepted and the Secretary in informing Count Strzelecki himself, do thank him for his tender of service, and do write him to attend the committee tomorrow. Following this meeting, Strzelecki immediately left for Dublin, in order to meet Sir Randolph Routh, chairman of the government’s Relief Commission. He then proceeded to counties Donegal, Mayo and Sligo where he had been asked to report on the condition of the population and to distribute a cargo of food on behalf of the Association. Strzelecki’s journey to the west of Ireland was not an easy one. The extreme weather of the winter of 1846-47 — a combination of snow, rain, hail, frost and bitter cold — hampered his movements. Undaunted though, when his carriage became stranded due to snow drifts, as occurred on a number of occasions, he proceeded to his destination on foot. Despite never marrying or having a family of his own, Strzelecki felt particularly for the suffering of children. To ensure that they were direct beneficiaries of the Association’s relief, he pioneered a system of giving children who attended the local schools in Westport a suit of clothing and a daily meal. The scheme proved so successful that he extended it to the rest of County Mayo, and then to other distressed areas in the west. When, due to lack of funds, the project came to a close in the summer of 1847, over 200,000 children were being fed daily in this way. The exceptions to this were the Society of Friends and the British Relief Association whose charitable work continued into 1848. Inevitably, the role of Strzelecki changed, as he was now the only agent of the British Association remaining in Ireland. He worked closely with Poor Law officials, using the residual funds of the Association to support the 22 Poor Law Unions that had been officially declared ‘distressed’. The Association had offered Strzelecki’s services in recognition that, the transition from the one system to the other, it was obvious, would be attended with considerable difficulty, out of which much additional pressure of a temporary character might probably arise Again, private charity was being called on to provide essential relief when the government was failing to do so. Since arriving in Ireland an abiding concern of Strzelecki’s had been with how children were faring as the family unit and other social structures broke down. In the spring of 1847, Strzelecki pioneered a system of feeding schoolchildren in the Westport Union, giving each child clothing and one meal a day, at a daily cost of one-third of a penny. Before being fed, each child was required to wash their face and hands, and to comb their hair. Apart from the advantages to the children, the parents also benefited from not having to share their scant resources. The scheme was widely praised: the local Board of Guardians in Westport, under the chairmanship of Lord Sligo, passed a vote of thanks to the Association and to Strzelecki on behalf of the children, for …not alone relieving their physical wants, but extending the blessings of education, so necessary for the well-being of society. Strzelecki’s efforts were also applauded in the local press, the Tyrawly Herald opining that the children’s pure hearts should glow with gratitude at this fresh proof of the concern entertained for their comforts by their generous benefactors. The success of the scheme encouraged Strzelecki to ask the committee in London if he could extend his scheme to other unions. His appeals on behalf of the children became more urgent following the transfer to Poor Law relief, he fearing that the actual and future effects which the physical and moral degradation to which they are exposed, through hunger andital nakedness, has and will have on the country. With the approval of the Treasury, in the winter of 1847, the scheme was extended to the 22 distressed unions. As a result, for almost nine months, over 200,000 children received free rations of food daily and appropriate clothing. The scheme finally ended in July 1848 when the funds of the British Association were totally exhausted. Despite assurances to Strzelecki by the Prime Minister that the scheme would continue at public expense, the Treasury refused to take over financial responsibility for feeding the children. Strzelecki’s role with the British Relief Association officially ended in 1848, but even after that time he continued to return to Ireland in a „trouble-shooter” capacity. Great credit is due to Count Strezelecki [sic!] the benevolent Polish nobleman, who superintended the distribution of the remaining funds of the British Relief Association during the last ten months in Ireland. He refused to accept any recompense, and defrayed several considerable expenses out of his own pocket. Strzelecki was also missed by the people with whom he had worked so closely. Before he left Dublin, the Viceroy, landlords and clergy thanked him with a public address. The forty Poor Law officers to whom he had given much support presented him with a piece of silver plate on which their names were engraved. Praise for Strzelecki also came from the committee in London, on whose behalf he had worked so tirelessly in Ireland. In fulsome thanks, they acknowledged that his duties had required „great labour and anxiety, and a considerable degree of personable risk”. According to an early historian of the Famine, William O’Brien, „the name of this benevolent stranger was then, and for long afterwards, a familiar one if not a household word, in the homes of the suffering poor”. Nonetheless, when he died in London in 1873, his passing was not acknowledged in Ireland.